How to implement Sentiment Analysis in Tableau using R? 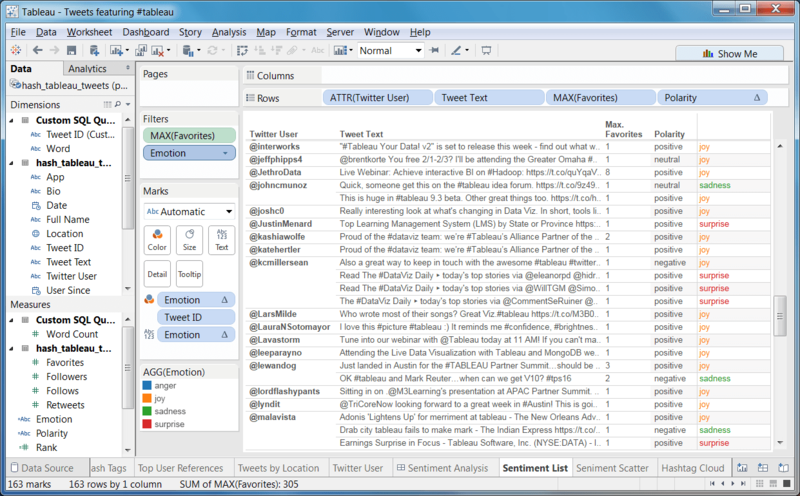 Today I’d like to follow up on this and show how to implement sentiment analysis in Tableau using Tableau’s R integration. Some of the many uses of social media analytics is sentiment analysis where we evaluate whether posts on a specific issue are positive, neutral, or negative (polarity), and which emotion in predominant. What do customers like or dislike about your products? How do people perceive your brand compared to last year? In order to answer such questions in Tableau, we need to install an R package that is capable of performing the sentiment analysis. In the following example we use an extended version of the sentiment package, which was initiated by Timothy P. Jurka. The sentiment package follows a lexicon based approach and comes with two files emotions_english.csv.gz (source and structure) and subjectivity_english.csv.gz (source and structure). Both files contain word lists in English and are stored in the R package library under /sentiment/data directory. If text is incorrectly classified, you could easily fix this issue by extending these two files. If your aim is to analyze text other than English, you need to create word lists for the target language. Kindly share them in the comments! Feel free to download the Packaged Workbook (twbx) here. Author Alexander LothPosted on January 31, 2016 March 20, 2017 Categories Blog, Data Management, Information ScienceTags BDA, Data Science, Data Visualization, R, Tableau, Text Mining, Tutorial5 Comments on How to implement Sentiment Analysis in Tableau using R? How to perform Text Mining at the Speed of Thought directly in Tableau? When I was doing text mining, I was often tempted to reach out for a scripting language like R, Python, or Ruby – and then I feed the results into Tableau. Tableau served as a communications tool to represent the insights in a pleasant way. 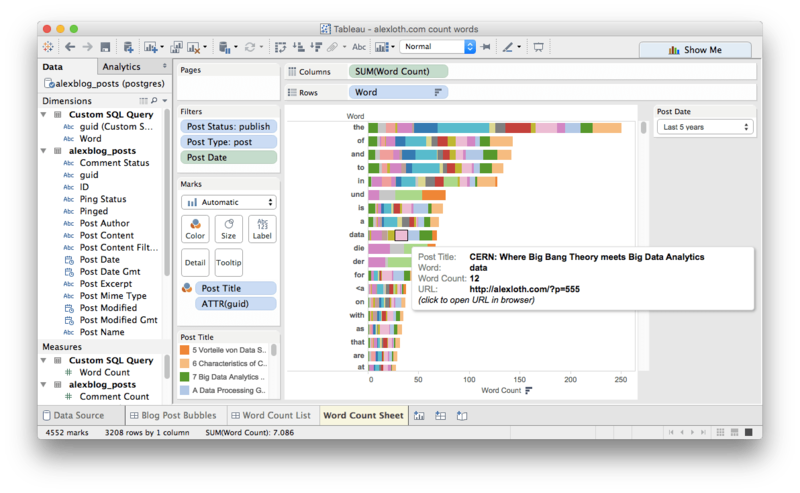 Wouldn’t it be handy to perform text mining and further analysis at the speed of thought directly in Tableau? Tableau has some relatively basic text processing functions that can be used for calculated fields. This is, however, not enough to perform text mining such as sentiment analysis, where it is required to split up text in tokens. 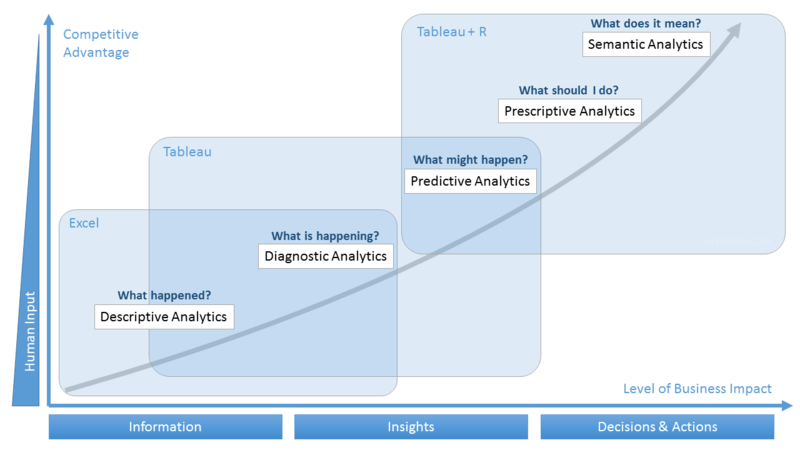 Also Tableau’s beloved R integration will not help in this case. This example could be easily enhanced with data from Google Analytics, or altered to analyse user comments, survey results, or social media feeds. Do you have some more fancy ideas for real-time text mining with Tableau? Leave me a comment! [Update 19 Jan 2016]: How to identify Twitter hashtags? Do I need another RegEx? Any more feedback, ideas, or questions? Author Alexander LothPosted on January 14, 2016 March 20, 2017 Categories Blog, Data Management, Information ScienceTags BDA, Data Science, Data Visualization, R, Tableau, Text Mining, Tutorial11 Comments on How to perform Text Mining at the Speed of Thought directly in Tableau?